It has been twenty five years since the 1987 Philippine Constitution was implemented but a law has yet to be passed by Congress to clearly define political dynasty which is being prohibited under the Constitution. The inaction of Congress to pass a law against political dynasty is due to the insensitivity and indifference of most traditional politicians in the Executive and Legislative branches of government, including the local government units who can be affected with the passage of the law. Senate bill 2649 or an act to prohibit the establishment of political dynasties, filed by Sen. Miriam Defensor Santiago, covers only the local positions. Members of the Senate committee on electoral reforms and people’s participation pushed expanding coverage of anti-political dynasties bill up to national positions. 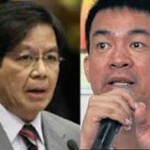 Sen. Panfilo Lacson supported also the inclusion of the national positions to the coverage of the proposed measure. ”For me, if the two candidates from one family will run even for two different positions in the local and in the national, this should be covered by the definition of political dynasty,” Lacson said. 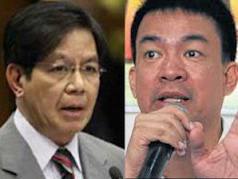 Pimentel and Lacson agreed to hold one or two more public hearings exclusively for the proposed measure to clearly define the political dynasty. The two said there is no more time for the Senate to pass the bill before the 2013 elections but expressed optimism it would be enacted into law before the next 2016 elections.